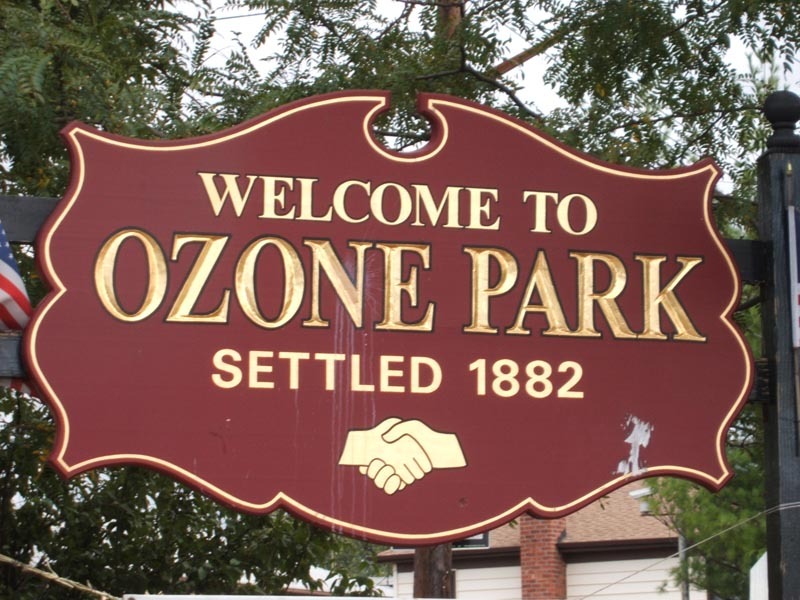 Ozone Park, a quiet residential Queens neighborhood near Woodhaven, is one of those places created by real estate developers in the 1880s. It happens to have one of the best neighborhood names in all of New York City. So where did it come from? Ozone is a gas that exists as part of the Earth’s atmosphere and, more dangerously, as a component of ground-level pollutants like smog and industrial waste. By all accounts, the word should sit nowhere near the word ‘Park’ where the foul-smelling gas would kill everything. But when ozone gas was first identified in 1840, its harmful effects were not widely understood. It was associated with fresh air, filled with refreshing recuperative properties. 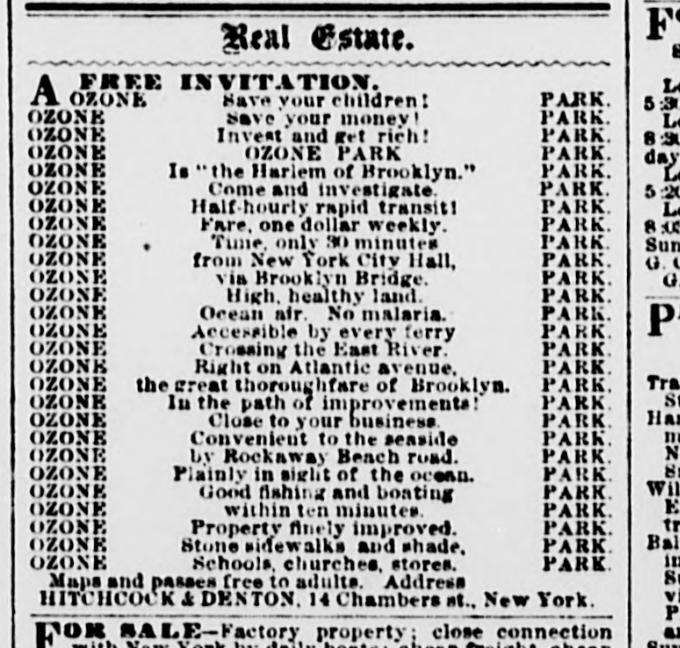 One dictionary in particular describes ozone as “clean bracing air as found at the sea side.” By the 1860s and 70s, beach resorts and hotels were advertising their properties are paradises full of tonic air with all the ozone you could want! 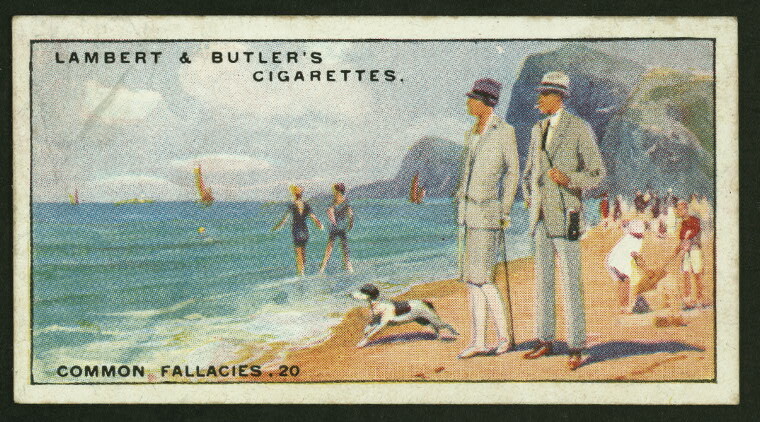 Below: This cigarette card was labeled ‘Ozone is present in the air at the sea-side.” So you have cigarettes and ozone….. There was no borough of Queens in the 1860s, only the counties of Kings and Queens sitting near each other on the western end of Long Island. The county of Queens was sparsely populated outside of a few towns further north, including Flushing, Jamaica, Astoria and Newtown (later Elmhurst). The vast population rise and the improving financial fortunes of the cities of New York and Brooklyn in the 1860s inspired some developers to sweep into under-populated areas with the hopes of developing new communities. It was in the decades following the Civil War that many new Queens communities sprouted up in this way. 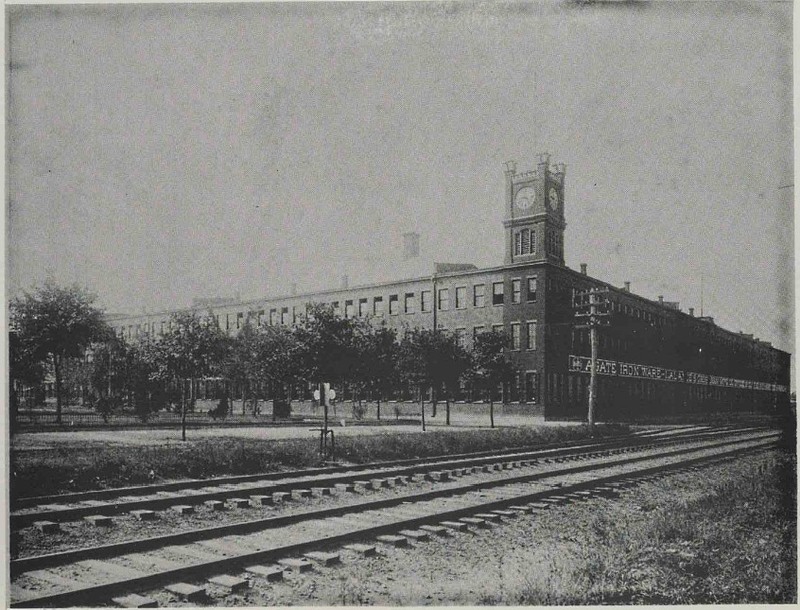 In the 1870s, the cooking and houseware manufacturers Florian Grosjean and Charles Lalance built a large factory near the site of the old Union Course racetrack, long since closed. The company town which sprouted up around the factory became the basis for the Woodhaven neighborhood. In 1876, the factory was destroyed in a devastating fire, so complete in its destruction that Grosjean, upon seeing his life’s work in flames, fainted to the ground. In 1880, the Long Island Railroad built a station south of Woodhaven as part of its line from Long Island City to Howard Beach. 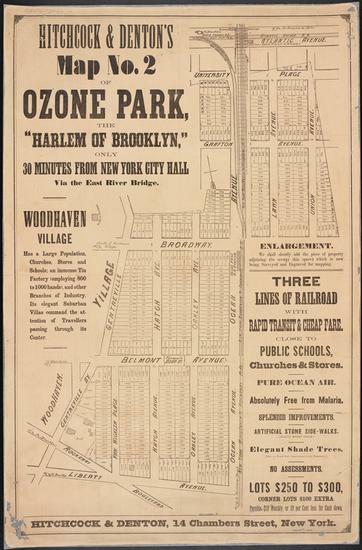 Two years later, two speculators Benjamin W. Hitchcock and Charles C. Denton bought up most of the plots of land around the station and began marketing the area as a visionary new neighborhood called Ozone Park! Hitchcock had made his money in the music publishing business, one of several enterprising Manhattan businessmen who looked to the vast undeveloped spaces of Long Island to make money. He coined the name Ozone Park to promote the area’s proximity to fresh tonic ocean air. Wait — ‘the Harlem of Brooklyn‘? 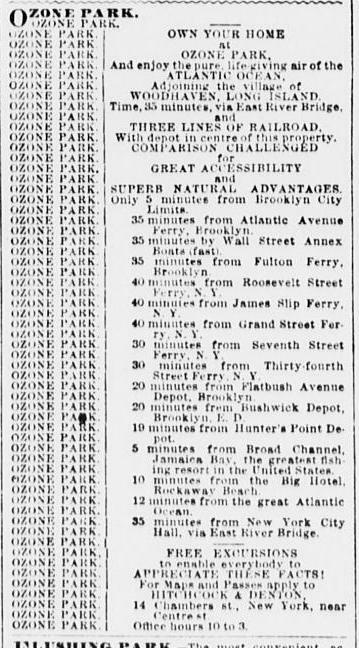 Ozone Park isn’t even in Brooklyn, although it’s near the modern border of the borough. In the 1880s Harlem was a thriving and newly developed Jewish and Italian neighborhood, a new rowhouses were being built along the routes of elevated rail lines. This is certainly the comparison the developers had in mind with this particular advertisements. By 1884, the developers carved streets to connect the properties. Far from relaxing and ‘tonic’, the area was a fury of building construction. 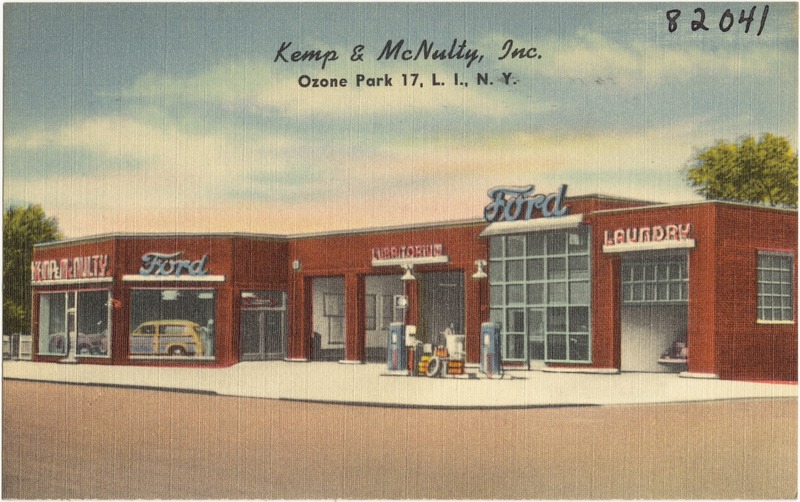 Five years later there were at least 600 residents living in Ozone Park, enough to merit its very own post office. 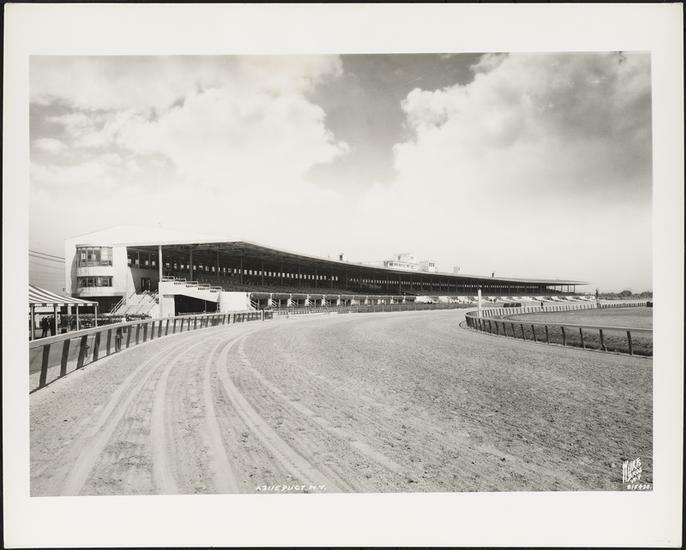 The development of South Ozone Park was bolstered with the construction in 1894 of the Aqueduct Racetrack (pictured below in 1941). When Idlewild Airport (later JFK Airport) was completed in 1948, anything positively “ozone” about the the air quickly evaporated. Thank you Project Woodhaven for inspiring this article!